Hooray for Friday! Do you have fun plans this weekend? I'm on the hunt for a filing cabinet. Exciting, I know. 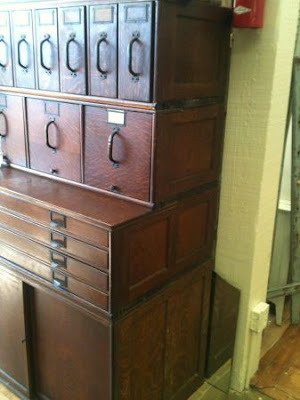 Ideally I would love to stumble upon an awesome vintage filing cabinet with some industrial character. I saw this one on Craiglist and loved the bright color, but there is no way I would pay $200! How about $20 instead? 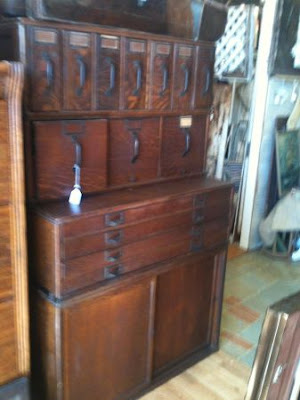 My "filing cabinet" search did turn up this beautiful antique cabinet on Craigslist. Isn't it COOL? I would love to have this but I don't have $1,800 to throw around and I have no place to put it! I discovered a street in one of our neighboring suburbs that has 7 thrift stores on it! 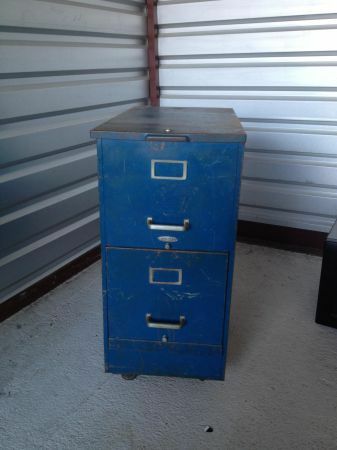 I'm going to go on a mega-thrifting adventure tomorrow as I search for the perfect filing cabinet. My brother is a high school basketball coach at our old high school, and his team made national news this week when his team (Franklin High) passed the ball to a special needs player on the other team (Coronado High) so that he could make a basket on senior night. It was a really touching moment. It's supposed to be on CBS Evening News tonight! I don't know if my brother will be featured, but he said it was an amazing moment that he'll never forget.